Each subject, no matter whether they are a natural person or a legal entity, has faced the need to participate in purchase or sale of a real estate. The type of the real estate may vary widely, but most often word goes about apartments, houses, offices, garages and other. Regardless of the side you are on – buyer or seller, there are for sure certain conventions to which everyone must pay heed. The recent years have witnessed a number of cases where some persons have applied fraudulent actions, aiming to benefit regardless of the consequences. Undoubtedly, the risks on the part of the buyer are greater, but the quality of the seller should not be underestimated either. In this presentation, we shall consider separately both hypotheses. Undoubtedly, the most important circumstance for the buyer is to understand whether there are some encumbrances on the real estate. These might be mortgages, foreclosures by enforcement agents, established right to use or other third party rights. Mortgage follows the real estate regardless of the change in ownership, since the latter warrants for the creditor’s satisfaction. Foreclosure means first of all that it is imposed by an enforcement agent to pay up for a definite receivable. The right to use is also very important since it is possible for the real estate to have been purchased from the seller with preserved right to use, which means that the buyer is the so-call bare proprietor. We recommend, when buying a real estate, to obtain 2 Certificates of Encumbrance from the Registry Agency – 1 before signing the preliminary purchase and sales contract and 1 on the day of hearing the deal. 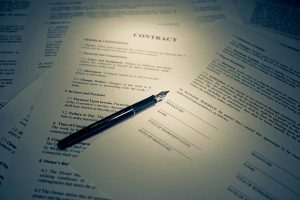 The latter is imperative in view of the period between signing the preliminary and the final contract, which may last from one to several months leaving room for establishment of an encumbrance during this period. The second important component is the tax estimate. The specific thing with it is the real estate’s value – we recommend to not complete a real estate deal before a Notary Public below the tax estimate because of the possibility of breaking the deal. Documents from the cadastre and other papers should be presented as well, whereas it is the Notary Public with whom the real estate deal with be completed who monitors for them. If you are on the side of the seller, actually, there are not many factors to be paid attention to. There is one circumstance, however, which should be treated as associated with higher risk rate. Most persons, willing to become owners of real estates, usually resort to the services of credit institutions providing financing. One of the banks’ conditions to transfer the due amount to the sellers is to have the deal effected and a deed of title registered with the Registry Agency. Usually, during the completion of a real estate deal before the Notary Public, apart from the parties under the purchase and sale deal, a representative of the bank is also present. It is absolutely mandatory for the buyer to present a bank certificate evidencing that the credit in question has been actually extended for a purpose and that the same will be used to satisfy the seller. We hope to have clarified to a certain extent this type of deals with real estates, but this presentation in no way pretends to be exhaustive. We do not recommend completion of any real estate deals whatsoever before a Notary Public without the intervention of an Attorney-at-Law specified in the field.